I've been thinking about the Holy Spirit lately and about the more predatory aspects of His character. We usually see Him represented by a white dove, coming to us in peace... which He does. But sometimes I think of Him as a predator, coming after me when I stray and invading my dreams and my heart, always drawing me closer to God through His love. Here is how I put the elements together to make this quilt. 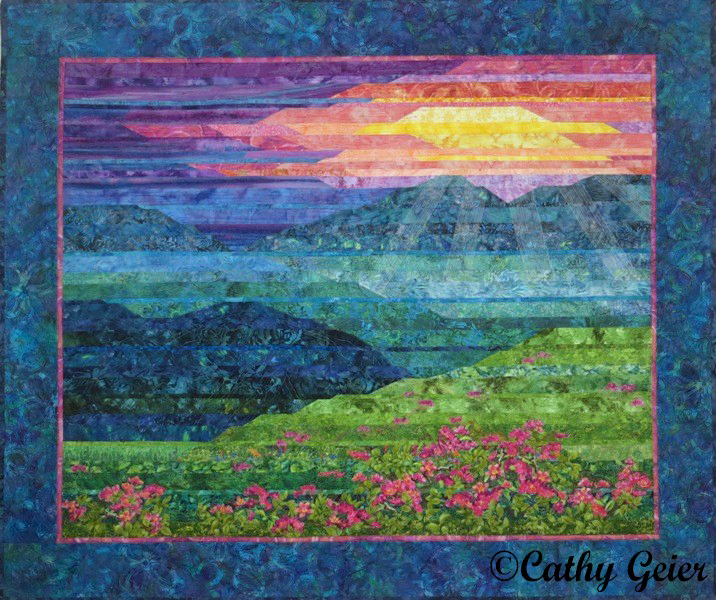 This quilt always conveys a sense of peace to me, probably because of all the soft blue fabric. I had the rose fabric in my stash for years and finally found the perfect setting to use it. When I went to add the leaves however, I couldn't find the perfect color so I made my own using the wrong color but the right leaf shape. It was easy! Do you have bright floral scraps? I have an idea for you! It was a long hard winter here in Wisconsin and as I look forward to Spring and flowers and all colors except white, gray and brown, I thought I'd bring out this wall hanging I made using squares of scraps. I have lots of leftovers from the days when I made watercolor quilts. LOTS. I thought I'd post a few pictures I took along the way making Blue Ridge Mtn. 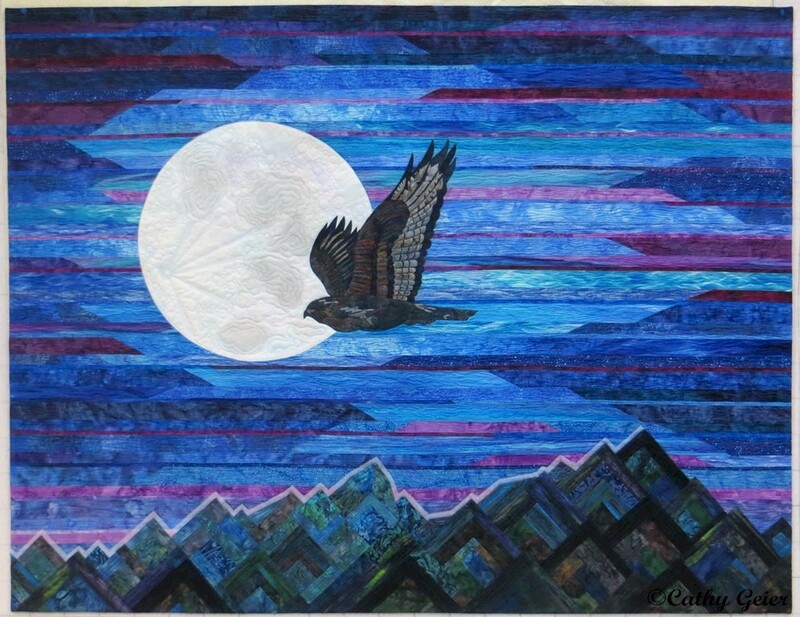 (This is the quilt they chose to be the cover of my book!) 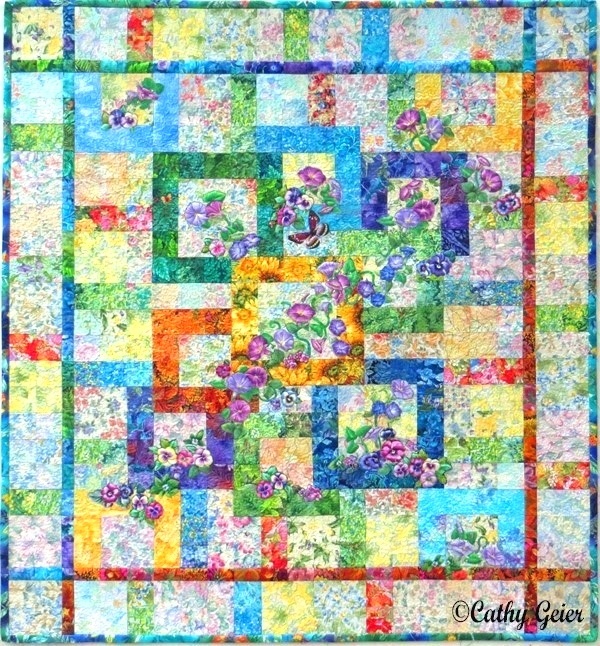 It has all my favorite colors and someday I'd like to make a large version of this quilt! How many 'somedays' are there do you think?! 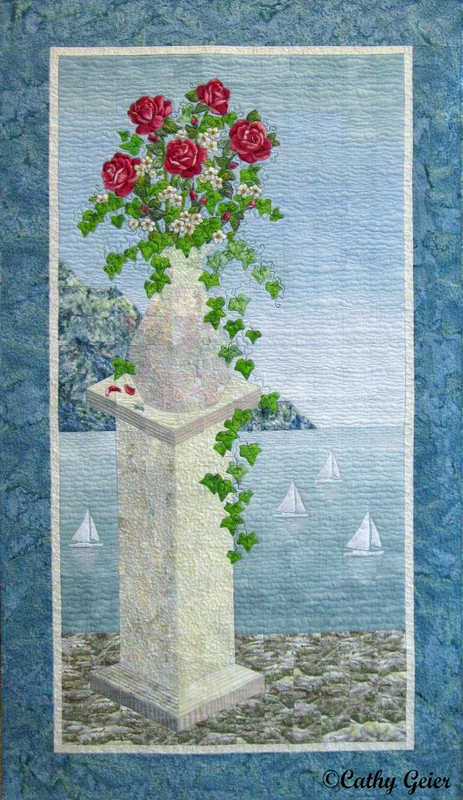 Especially for us quilters... we have more ideas than we have time.